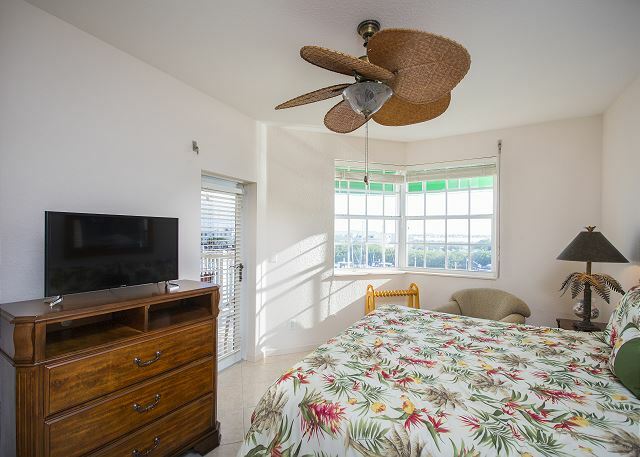 Private and quiet, this luxurious unit is an ideal place for relaxing and you are only minutes away from Duval Str and the unique charm of Old Town Key West. 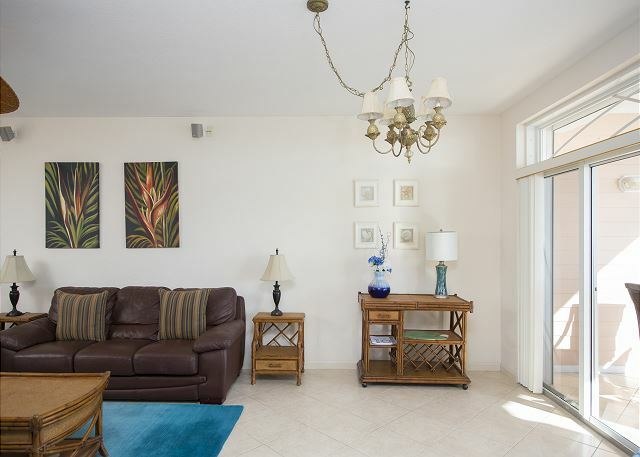 Beautifully decorated with palm tree décor, leather sleeper sofa, warm colors to give you a feeling of being home. 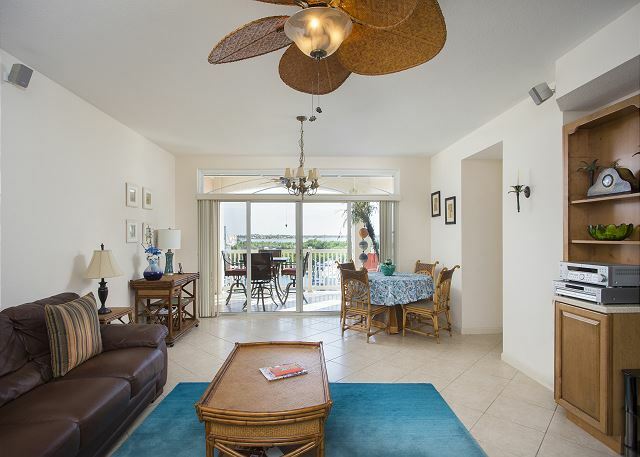 The unit has a master bathroom with a Jacuzzi bathtub and a separate shower. The guest bathroom has a shower. 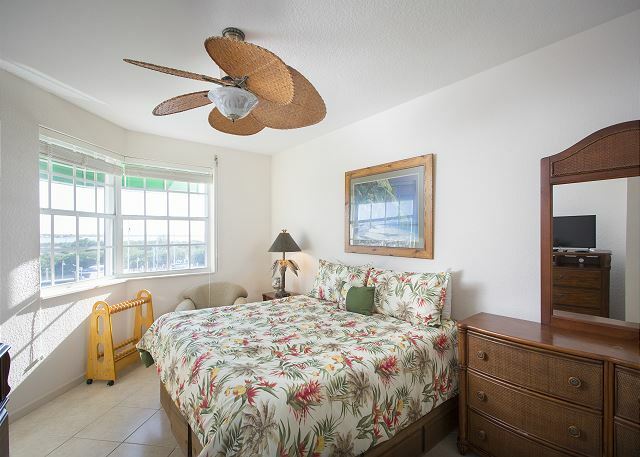 There is a King bed in the master bedroom and 2 twin beds in the guest bedroom. 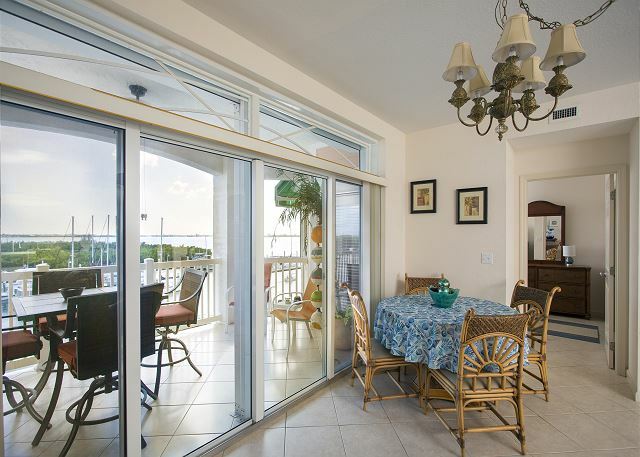 This two bedroom and two bathroom unit is located on the largest private marina in Key West, Florida. 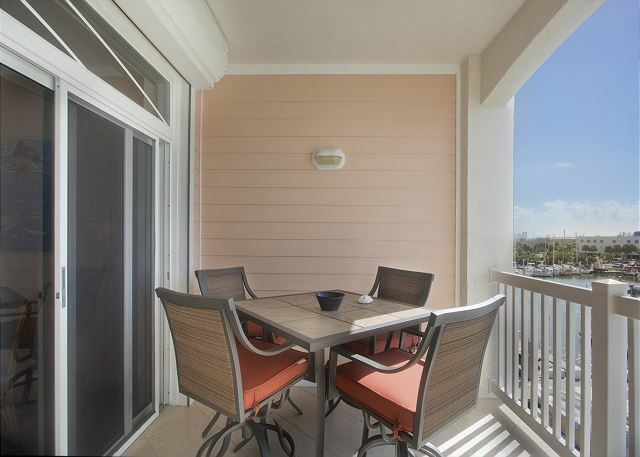 The condominium's lanai offers an open balcony, providing a perfect spot to relax and watch those spectacular Key West sunsets. Looking to go fishing or boating? 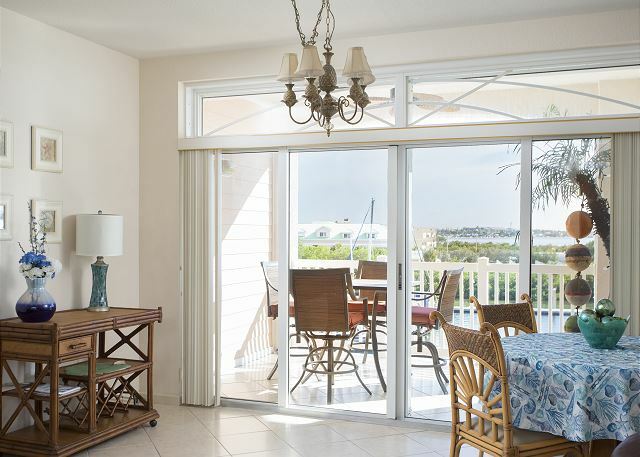 Since the marina is located directly on the Gulf, this condominium is perfect for water enthusiasts. Also easy access to Atlantic as well. Private garage parking is located downstairs, along with elevator access and a security accessed front gate. An 18-hole upscale public golf course with restaurant, bar and driving range (Key West Golf Club) is located across the street. 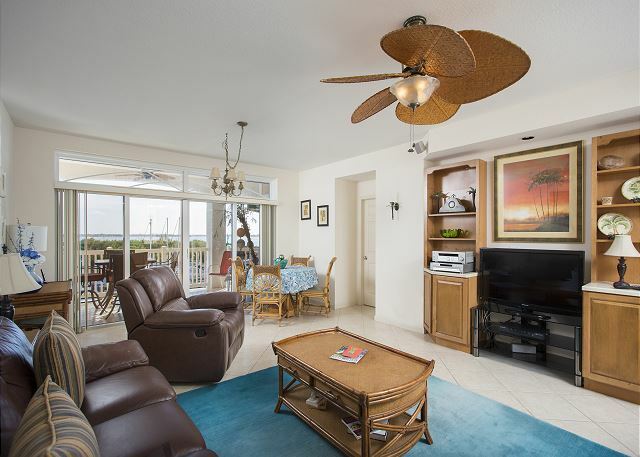 This is our second stay in this condo, it's clean, well maintained and has everything we need. The views off the Lenai are amazing!!! The property manager is always friendly and responds quickly if we have a question. The staff on the property are always friendly as well as most of the full timers. Hello Sharon, Thank you for your review and for your repeat business. See you next year! 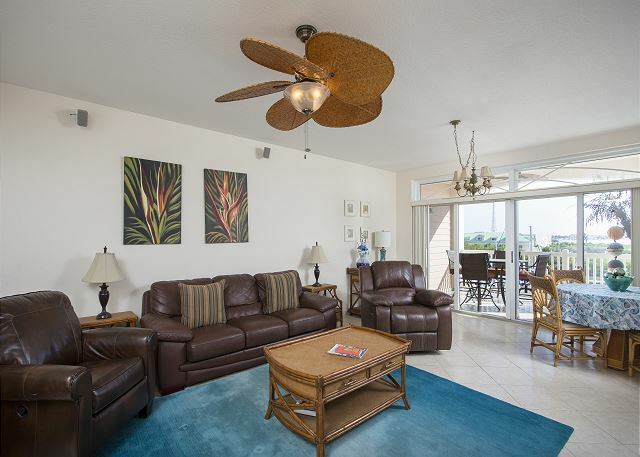 This condo was everything and more as it is described! The check in was fast and Becky is always very friendly. 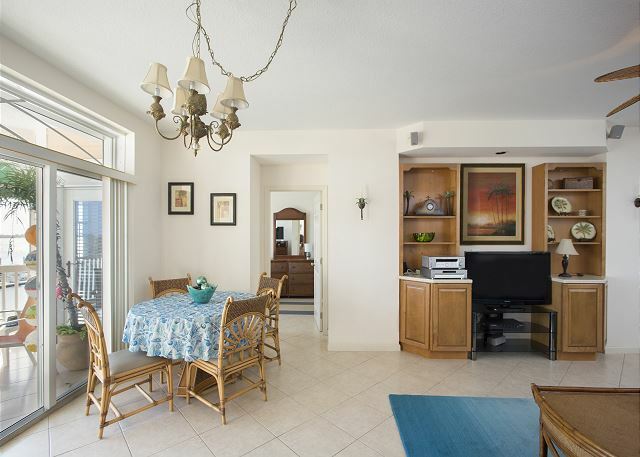 The condo is very specious and the view over the marina is beautiful, in addition to a perfect view of the sunset. Also love parking under the building keeping the SUV out of the weather and perfect if raining keeping you dry! Hello Travis, Thank you for staying with us again and see you soon. We had a very relaxing stay in Sunset Marina. The condo was beautiful, clean and very comfortable. If you want excitemnt and night life stay in town. If you want to relax enjoy the pool and go boating you would like it here. The immediate area is not the most desirable. Our daughter lives in a house boat so it was perfect for us to visit our family. I was absolutely satisfied with the rental that I just completed. Maybe if I am fortunate enough to return, something might be worked out to once again stay there. Quiet, clean place was as advertised. Wonderful views and well worth the money.